Children at KIWI. Photo by Samiksha Khanduri. 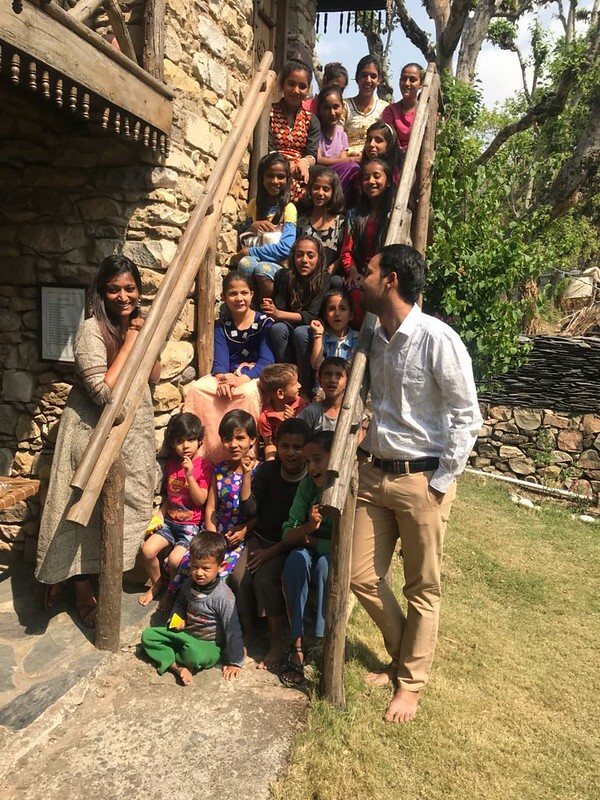 Dehradun, Uttarakhand: Abhinav Ahluwalia the founder of Kisan Window and his team of social scientists continued their efforts in women health empowerment right after a week from the first workshop. On April 1st, as promised to the young girls, team KIWI (‘Kisan Window’) organised the second edition of the workshop at Anirudh Ashram, in Langa Village (Vikas Nagar). Before I talk any further I feel I can do some justice to the venue of this beautiful workshop. 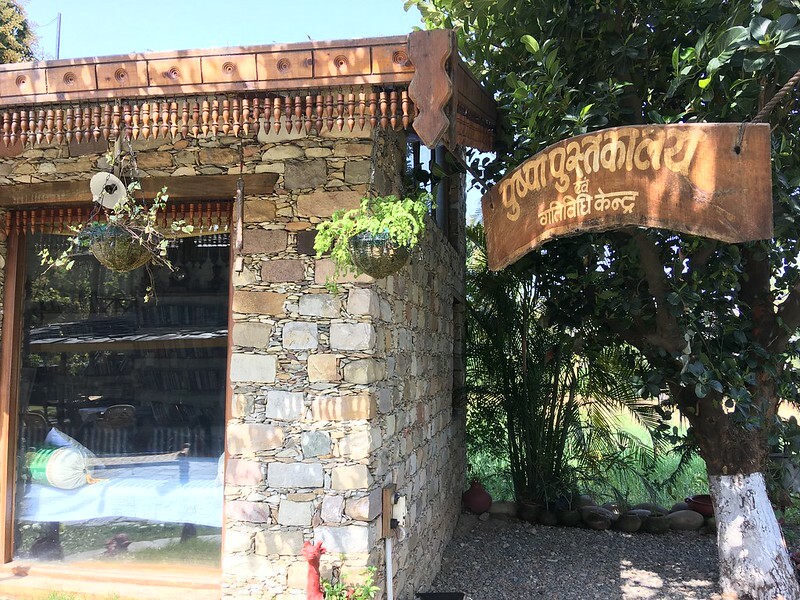 So Anirudh Ashram is a small ashram for the rural people of Langa village, with a library, a cottage accommodation and 18 plots of land on which 18 families sustain their annual income. This beautiful ashram is named after Abhinav’s grandfather, a prolific poet and social worker, in the memory of whom this ashram was built. The ashram today offers an e–library for the kids of the village, a librarian who also belongs to the village and is home to a sustainable source of income to the farmers of that village. Here is a glimpse. We had a group of young boys and girls who were made aware about the importance of play than simply being a bookworm. This session was headed by Dr. Benjamin Prakash, based out of Germany, with his 35 years of experience into sports, fitness and wellness explained how with continuous efforts we can enhance any skill of ours. 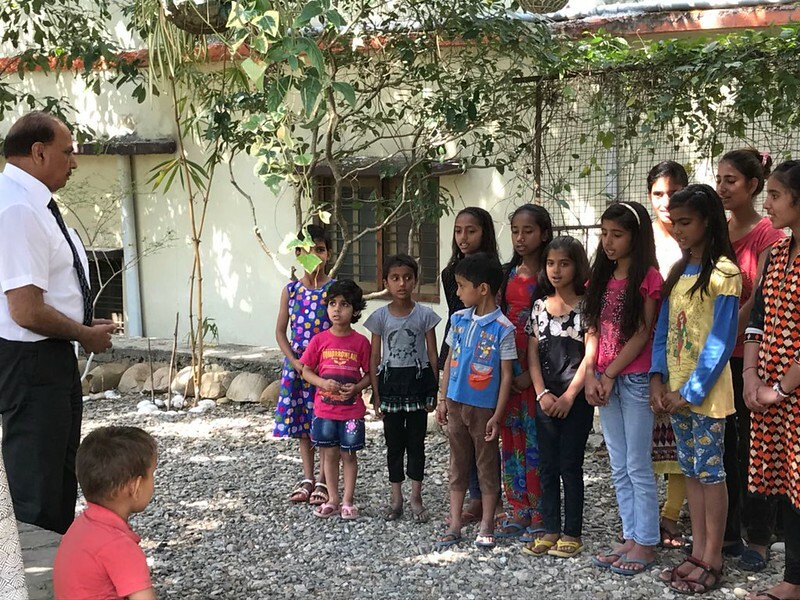 He even had the kids play “Rumaal Uthai” in the open yard, was resonant with his extensive research in sports and his well know concept of Konzept – Prakash in Germany. Soon after this Vaidya Shikha in continuation with her diet suggestion to the girls in the last wokshop, followed up on their diet and lifestyle status. That is to be applauded for it is only after continuous check that one can bring a change and not by something said and done once. Not only did the team ensure a constant check but they also showed how to follow a healthy diet. With a session on how to make a sprout salad themselves at home, the girls pooled in with hearty hands to make the salad while they watched the movie Poorna , as scheduled. 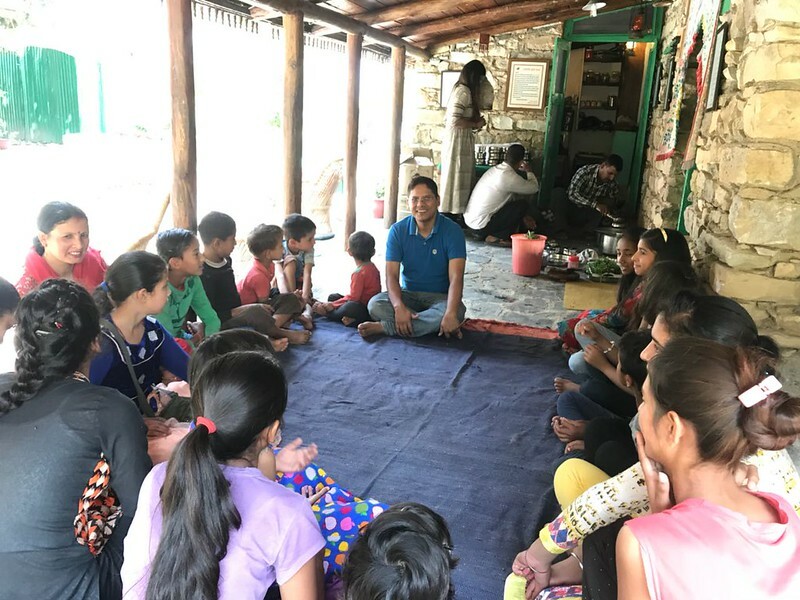 Mr. Rajneesh Yashawasthi, a Sales tax Commissioner of Uttarakhand, also a social activist who has worked extensively for the farmer upliftment by conducting agricultural workshops, joined these kids for an interactive session and a fun round of antakshri. Soon after which the kids were given the importance of healthy snacking, with chana murmura and jaggery packs made by Abhinav himself. After this the younger kids left and girls over 12 years were made to sit through a session on menstrual cycle, hygiene and sanitation by Vaidya Shikha. This was a much needed session and girls took a lot from it. It was time that topics like these were discussed in open in order to enable self- help of girls maturing into womanhood. The beautiful workshop ended with a freshly cooked lunch prepared by the ashram people. The kids relished the meal and had a hearty laughter with the playful team of KIWI – Kisan Window. Kudos to such good work. Cheers to the real social scientists. Pictures & report by Samiksha Khanduri.